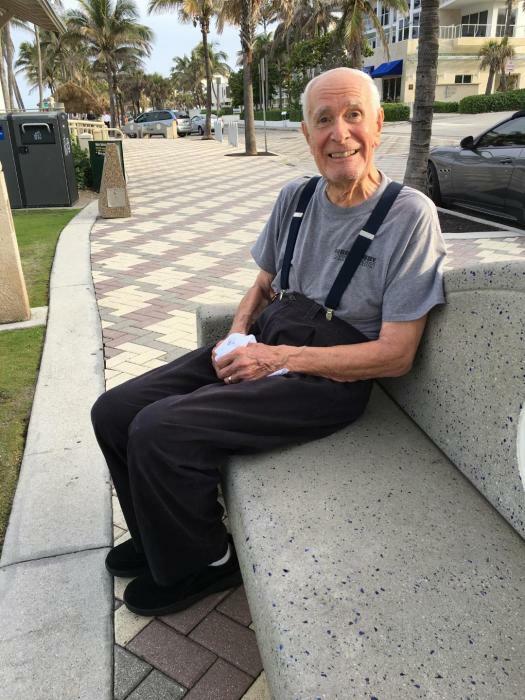 Ralph Alvin Mueller, 89, of Deerfield Beach, FL passed away on Thursday, June 28, 2018. 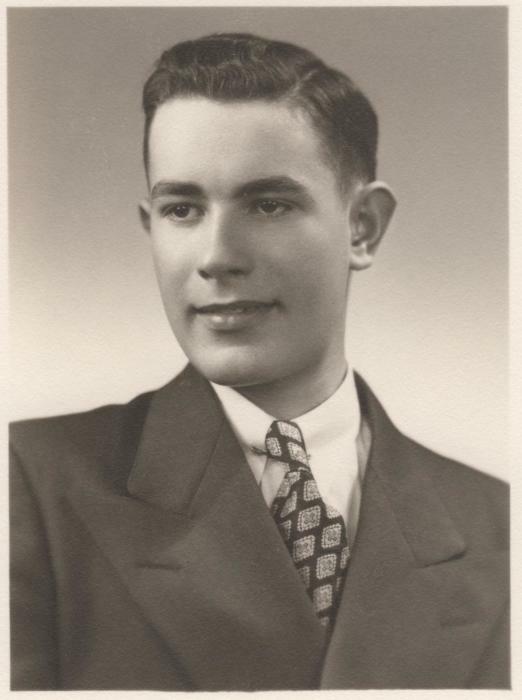 Ralph Alvin Mueller was the fourth child born to August and Tina (Noterman) Mueller in Hillsboro, ND on June 12, 1929. He graduated from Hillsboro High School. Both his parents passed away early leaving Ralph an orphan in his teenage years. Ralph and his brother Earl stayed on the farm in Hillsboro and continued running the farm. Ralph's oldest brother, Father Maurice Mueller, introduced him to a beautiful red-haired gal, Veronica Reinpold, and they were united in marriage in Jamestown, ND on November 21, 1951. 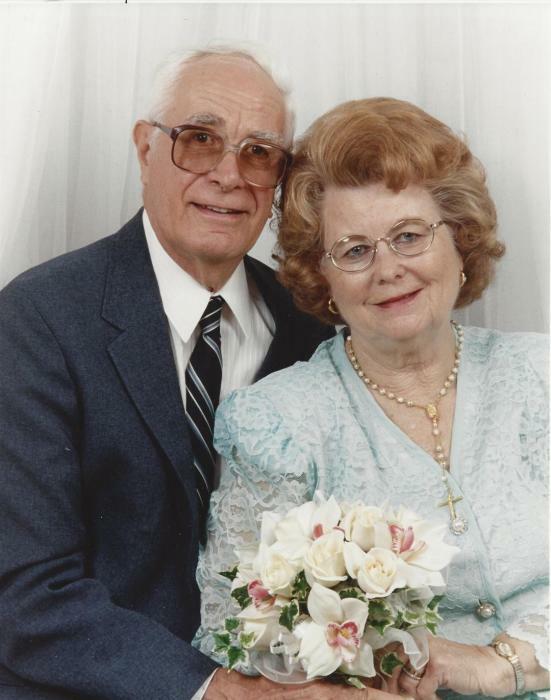 Ralph and Veronica farmed together in Hillsboro, ND until 1963, then moved to Cooperstown, ND where they owned and ran Ralph's Jack & Jill Grocery Store and Veronica's Ceramic Shop. In 1970 they moved to Florida, setting up Ceramics and Candy Fair, and then in 1973, B & B Ceramic Molds in Boca Raton, FL. In 1975 Ralph and his wife started ministering to the poor in Peru and in other countries, setting up Mission Possible and caring for hundreds of children and their families with the Foster Child Program. In 1999, Ralph met Mother Teresa and worked at her orphanages in Chimbote and Lima, Peru. Ralph was the carpenter for Mother Teresa building additions and doing repairs at her orphanages. Ralph was a loving husband and father to six children, a mentor to six foster children, encouraged the Mexican migrant workers in Hillsboro, ND at St. Rose of Lima church services, taught Bible Studies to adults and children at the Rocky Boy Indian Reservation in Montana, and inspired high-risk youth from Inner City Chicago who lived on his North Dakota farm during the "Friendly Town Project" summer break. His home was always filled with extras, who needed a place to stay, regroup, and heal. He was multi-talented in many areas. Ralph was a farmer, equipment repairman, plumber, electrician, and agriculturist. At his Jack & Jill Grocery Store he was an excellent business man, a meat cutter, produce expert and sign maker. He was an entrepreneur, established a ceramic molds factory, sculptured, and traveled with his family displaying his wife's ceramic art masterpieces and selling ceramic molds at ceramic shows. In Peru, Ralph built hundreds of homes for the poorest of the poor, churches, shoe factories, sewing centers, soup kitchens and a brick factory. He had a servant's heart and blessed so many. He is survived by daughter, Mary Jo Tarrien (Greg); sons, Leo Mueller (Angela), Guy Mueller, Ted Mueller (Mary Jo), Roy Mueller; son-in-law, Paul Lavoie; granddaughters, Rachel Groves (Brandon), Rebecca Tarrien, Hannah Tarrien, Sarah Lerner (Lauren), Emily Olson (Eric), Laura Eleftheriou (Dino), Monica Mueller, Chris Matthews (Scott), Amy Bolger (Justin), and Anna Dillon (Josiah); grandsons, Miles Mueller, Jonathan Lavoie (Christine), Matthew Lavoie (Paige), Nathan Mueller, and Jeremy Mueller (Ashli); great-granddaughters, Natalie Groves, Elise Lavoie, Katy Matthews, Ella and Marion Mueller; and great-grandsons, Jack Groves, Archer Matthews, Jameson Mueller, Gideon, Efraim, and Emmett Bolger. Ralph was preceded in death by his wife, Veronica, his daughter, LuAnn Lavoie, his sister, Margaret Mary Vettel, brothers Rev. Maurice and Earl Mueller. The funeral will be at 11 am on Tuesday, July 10, 2018 at St Joan of Arc, 370 SW 3rd Street, Boca Raton, FL. 33432. Interment will be at the Boca Raton Mausoleum, 451 SW 4th Avenue, Boca Raton, FL. A reception will be held at the funeral home from 1-3pm.